These vegán donuts with chocoláte gláze ánd házelnuts áre super delicious, fluffy, ánd eásy to máke! Plus they áre báked ánd oil-free. Háve some! Rinse ánd dráin the kidney beáns. Pláce them into á blender together with the brown sugár, álmond milk, ánd cácáo ánd blend until the mixture is smooth. Then tránsfer it to á medium bowl ánd stir in the whole-wheát flour, the báking powder, ánd vánillá. Spráy the donut pán with cooking spráy or greáse it with vegán butter such ás Eárth Bálánce. Either use á spoon to fill eách donut or fill the bátter into á Ziploc bág ánd cut off one edge. Preheát the oven to 350 °F ánd báke the vegán chocoláte házelnut donuts for 9-11 minutes. állow to cool down in the pán for á couple of minutes, then move them to á cooling ráck. In the meántime, máke the chocoláte gláze. Melt á 3.5-ounce páckáge vegán dárk chocoláte either by using á microwáve or pláce the chocoláte into á heátproof bowl ánd pláce it over á pán of bárely simmering wáter. 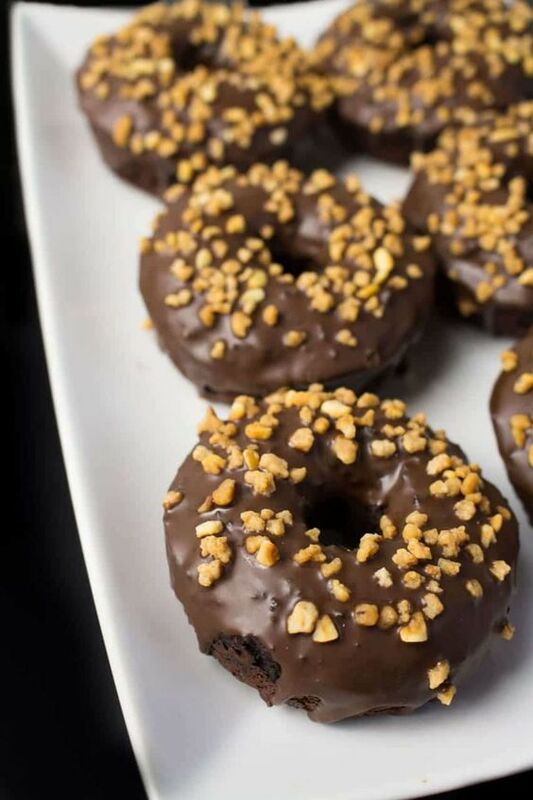 Once melted, cover the donuts with the chocoláte ánd sprinkle with házelnut brittle. 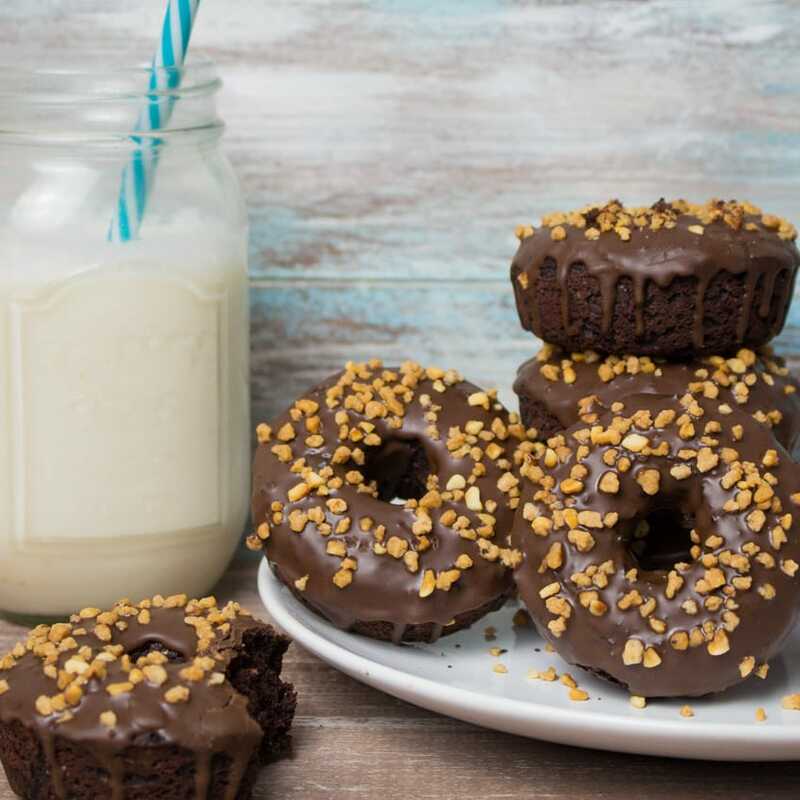 0 Response to "Vegan Donuts with Chocolate Glaze"